Arthritis can impact your daily life and stop you from doing the things you enjoy. Learn more about what defines arthritis and what the risk factors are, as well as how you can manage your arthritis and not let it stand in your way. If you have any of these symptoms, talk to your doctor or health care provider. Women: Women make up about 60% of arthritis cases. Older Age: Nearly half of the elderly population has arthritis. Risk increases with age. Obesity: Obesity is associated with osteoarthritis in adults and gout in men. Joint Injuries: Sports, occupation and repetitive motion joint injuries increase the risk of arthritis. 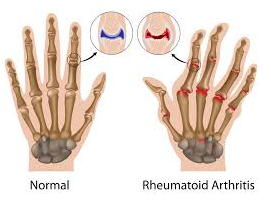 Occupations such as farming, heavy industry, and those with repetitive motion are associated with arthritis.